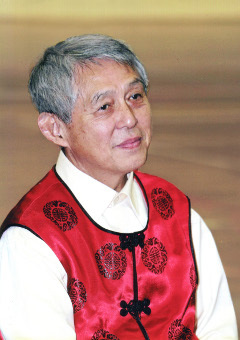 Taijiwuxigong provides various standing, sitting and lying exercises which have two functions. The first is to correct body posture, the second is to clear stuck waste products. This helps to restore physical wellbeing and mental and emotional equilibrium. 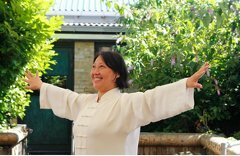 Through the practice of Taijiwuxigong we can learn how to bring the vibrations of the earth force up through the body and allow this to clear the spinal column. This realigns the vertebrae and opens the spaces between them, making the body taller again. Pressure on nerves and blood vessels around the spine is relieved and freedom of movement restored. Spontaneous movement (both physical and emotional reactions) can occur and we can feel the healing effect this has on the body as it helps to remove and flush out disease. The exercises are very beneficial for people who do a lot of desk or computer work and who suffer from ‘mouse-arm syndrome’. Spending long hours sitting at a desk often leads to a distorted body position – the result is tightness and muscle tension in the neck and shoulders (especially that of the arm used most). This tension can cause malpositioning of the neck vertebrae, in turn putting pressure on the local nerves and inhibiting blood circulation to the brain. During this course the students will learn how to use standing, sitting and lying down positions to bring the vibration of the earth force through the legs and up the spine. This vibration can help the spinal vertebrae to re-align into a correct position and to open the inter-vertebral spaces. Pressure on the nerves and blood vessels travelling through the spinal canal can be relieved and freedom of movement improved. Through deep practice, theoretical explanation and the attention of Shen Jin, each participant will have the opportunity to deeply research and experience the internal movements created by different Daoyin exercises. 1. €- for 5 days/5 nights (from 2 August) half-board in single rooms (lunch and breakfast incl.) and the party (dinner/disco) on the 4th evening. 2. €- for 5 days/4 nights (from 3 August) half-board in single rooms (lunch and breakfast incl.) and the party (dinner/disco) on the 4th evening. 3. €-/day for only lunch + tea/coffee breaks (to be reserved at the latest 1 week before course). Please note that there are a limited number of bedrooms, so if you need a room we advise you to book as soon as possible. The venue for the sleeping accommodation is St Paulusinternaat, E. De Deynestraat 2, 9000 Ghent. Reserve your place now with our online booking form! For all questions relating to this course please contact us here.